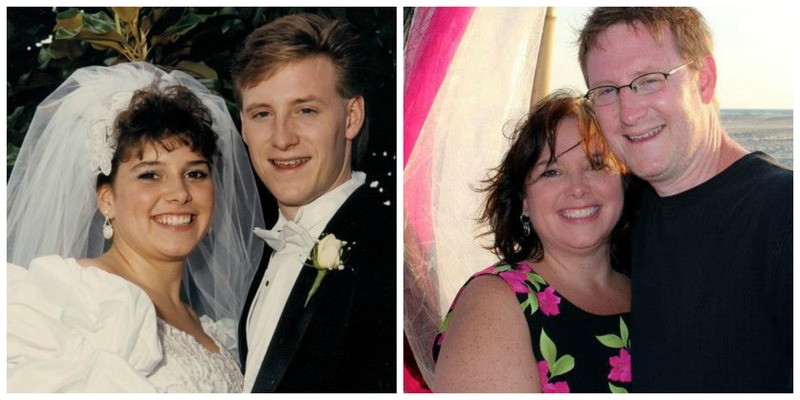 Today is my 24th Wedding Anniversary. That’s right, two dozen years with my college sweetheart. It just occurred to me that we’ve been married longer than we even existed before we got married. I’m not gonna get all sappy with you here, I know you’re not interested in that, you wanna read about bookish things. So I’m gonna tell you about the weekend we just spent together. 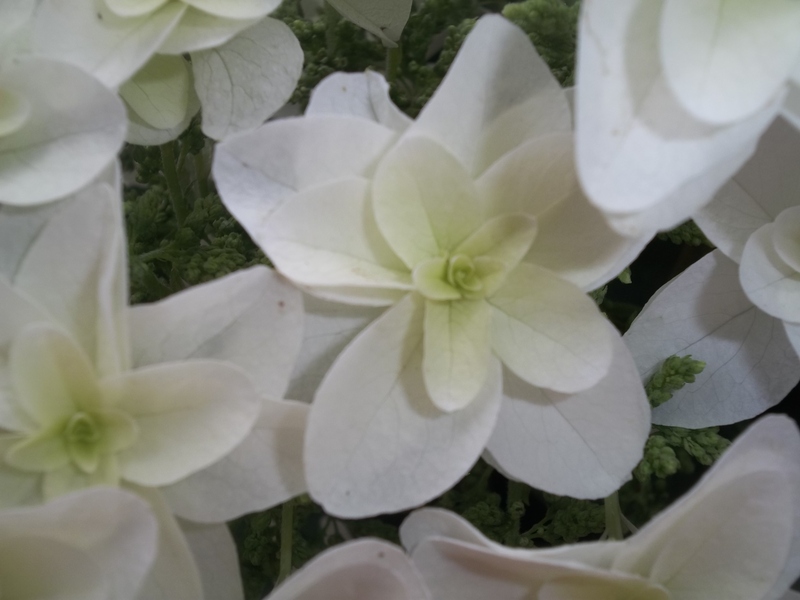 It was all about Books, Blooms and Baseball! We live in Eastern North Carolina. Normally, when we want/need a short getaway, we head to Raleigh and enjoy what the big city has to offer us small town people but this time we decided to travel just a bit further and spend some time in Durham, home of the Duke Blue Devils and the Durham Bulls Baseball team. 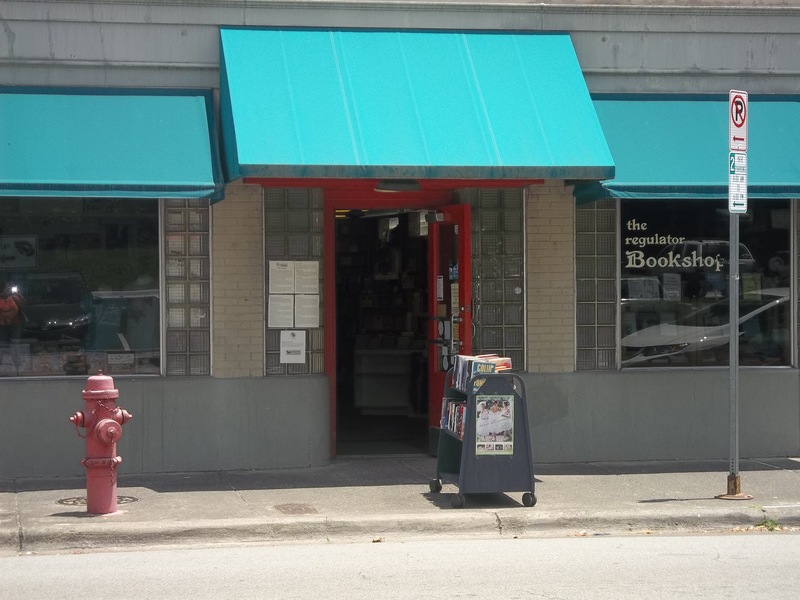 I knew before we left that there was an indie bookstore that I wanted to visit. 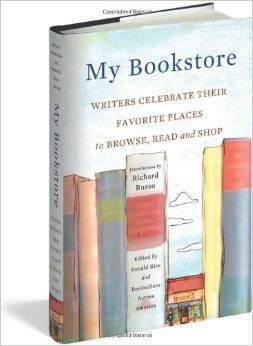 It was featured in the book My Bookstore, Writers Celebrate Their Favorite Places to Browse, Read and Shop. In the back of the book there is an index of all the shops listed and The Regulator Bookshop in Durham was one of them. So that was on my list of things to do but first things being first and all, we chose where we were going to eat. We like to eat local when we go away. An exception would be an opportunity to go to PF Chang’s, which they have in Durham, but we decided to stick with the locals and enjoy eating at places we normally don’t get the chance to visit. We perused a long list of restaurants and made our dining plans for the whole trip. We decided on an Italian place for dinner Friday night that was outstanding! The weather was perfect and we were seated outside. I had Eggplant Parm and Mike had Linguine with these tremendous jumbo shrimp and a red sauce. We had gelato for dessert, chocolate and chocolate hazelnut. Our restaurant was in a little district where there were several places to eat outside and there was a live bluegrass band just down the way. I’m not really big on bluegrass but the crowd was loving it, dancing and mingling, and they really did sound very nice. We walked around the district for a while and we spotted the place where we were to have lunch on Saturday. I was just so excited about this I didn’t know what to do. Who knew this place existed??? Not me, and if you did, just pretend you didn’t know and act as excited as I was to find it. Oh that’s right. You’re seeing it correctly. 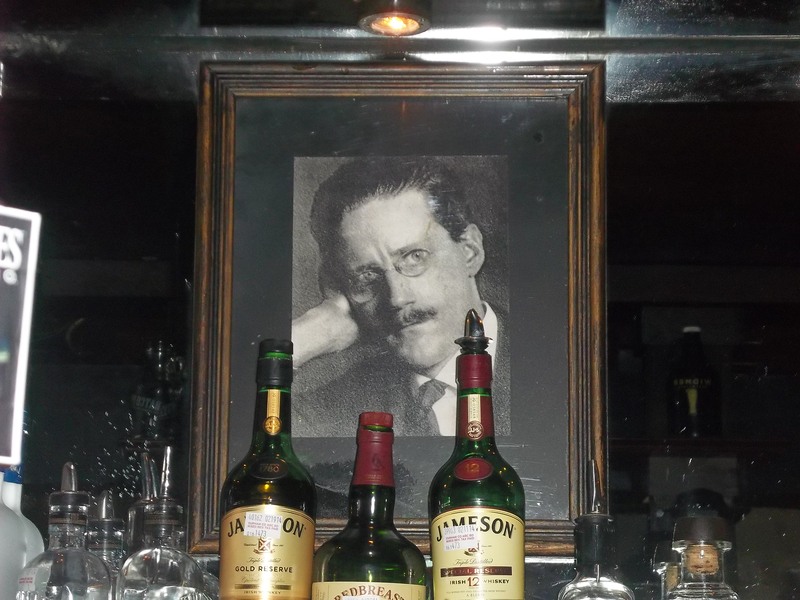 The James Joyce Irish Pub. 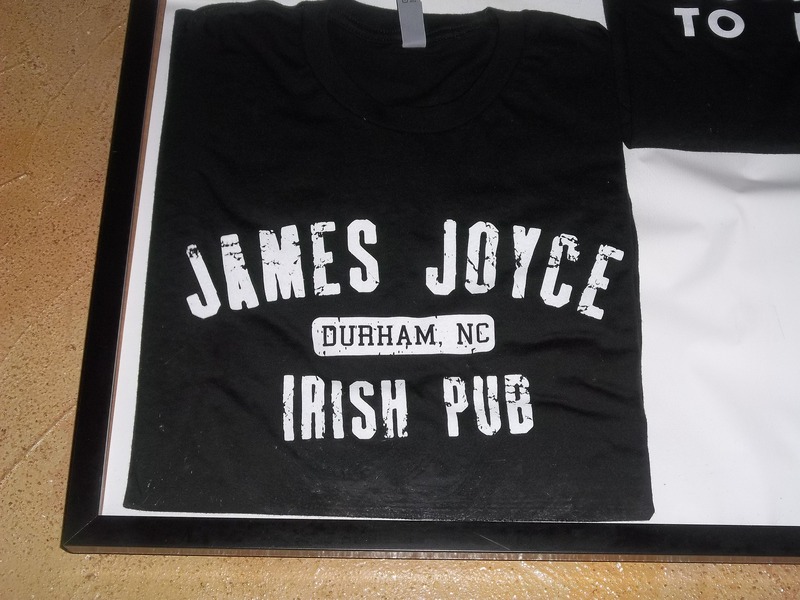 And if you know me, it’s not the “Pub” part that’s got me all giddy, it’s the James Joyce part. The writer of Ulysses. That massive piece of literature that I just happen to be suffering through, ahem, reading through as I write this. Could there be a better bookish moment than this?? Well, sure, but inside of this weekend? No way. 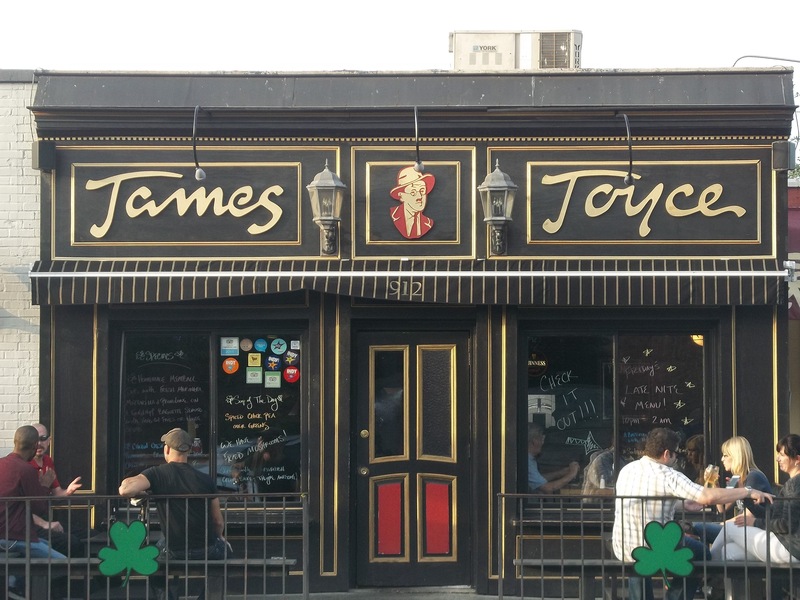 I was for sure gonna go there, eat some fish and chips and maybe even read a little Ulysses while inside. 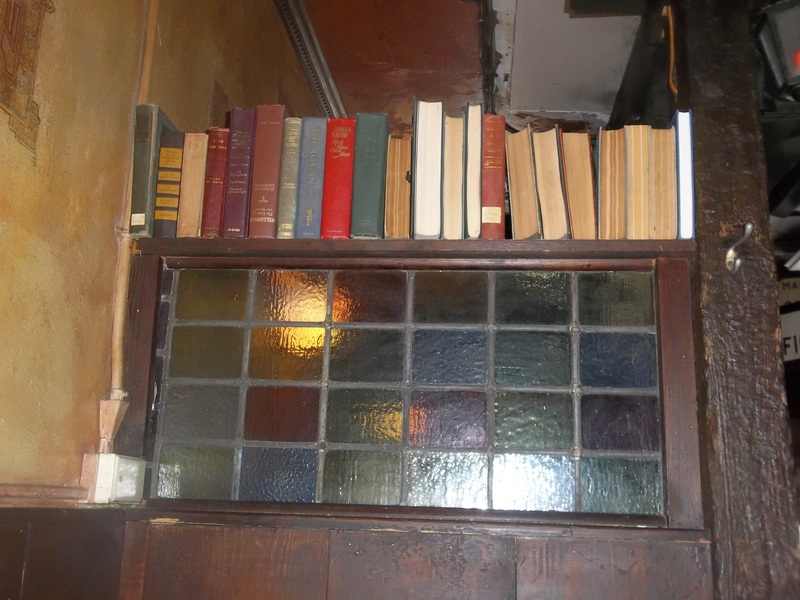 Our server, also the bartender, seated us and I asked him right away if any of the books I saw displayed in the pub happened to be Ulysses. He didn’t know but he and I looked around together and didn’t find it. We didn’t find ANY of Joyce’s works. We were both surprised and I told him he should totally tell the boss. How embarrassing! But he served us great food and offered us great conversation. 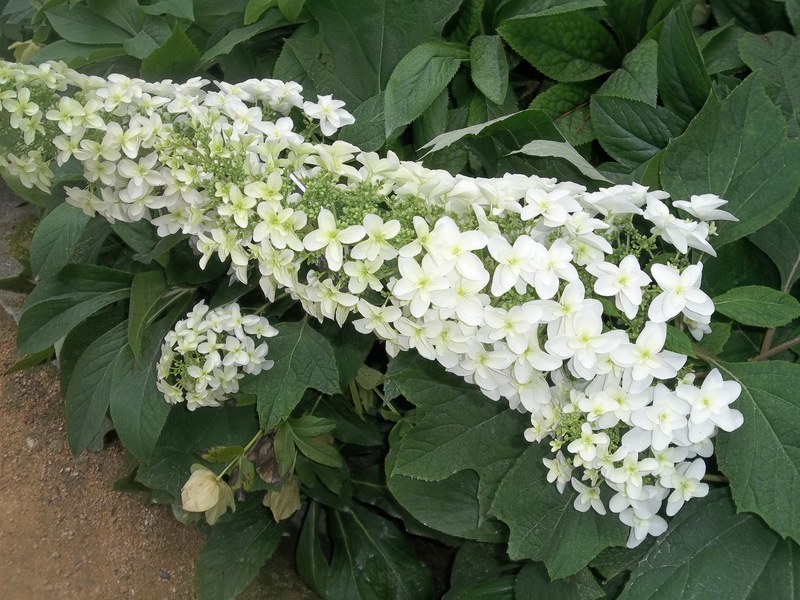 Mr. Bartender encouraged us to take a visit to the beautiful Duke Gardens…. which we did….after a trip to The Regulator Bookshop. After the gardens we headed to dinner. 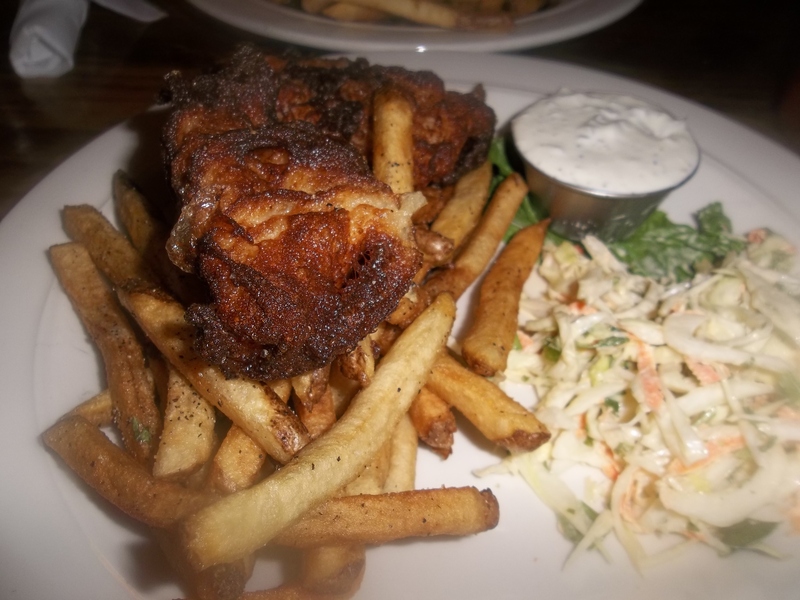 We ate at Tobacco Road, this semi-upscale sports bar/restaurant at the Durham Bulls Ball Park. We just ordered salads because we knew we would be eating some junk at the ballgame, which we did, but I feel I should at least tell you about the salad dressing because, come on, blueberry mint white balsamic vinaigrette. That is all. Oh, and I counted 37 TVs in the joint. The Bulls showed up big time and won the game 10-zip. The weather was also great. It was getting late in the eighth so we headed back to our home and kids. (It’s really nice when your kids are old enough to leave them overnight.) I called on the way home to give them the heads up in case they hadn’t done the few things we left for them to do. One was loading the dishwasher as we were talking. The house was in decent shape and it wasn’t long before we all hit the sack. I am thankful for this man I love. I am thankful for 24 years even though it makes me feel so old. I’m thankful that he makes so much of our life together about me. He prefers it that way and it’s a good thing because I am terrible at making it about him. So in keeping with that, I told him to start saving for #25. What a great anniversary trip! I’m LOVING your wedding photo :). Those poofy sleeves were THE THING! I wonder how well my wedding dress will hold up fashion-wise when I look back in another 19 years :). You two still look super happy, congrats!